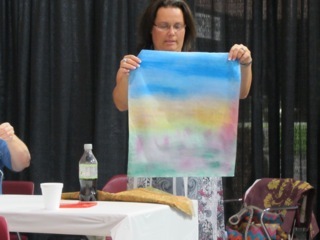 Fabric painted with Jacquard textile paints. 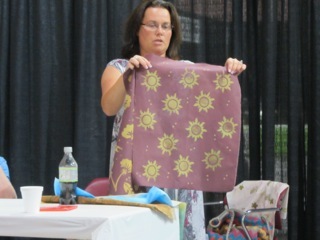 Dyed fabric stamped with rubber stamp, using yellow Decolourant Plus. 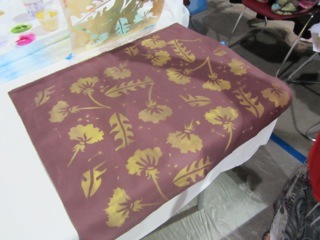 Same fabric, same Decolourant Plus color, this time using stencil. Decolourant was applied over stencil with roller sponge.